hd00:07Baby sits at a children's little table. Looks in an objective. Isolated on the white. hd00:11Cute preschool girl sitting by the white table focused on drawing something in light room. 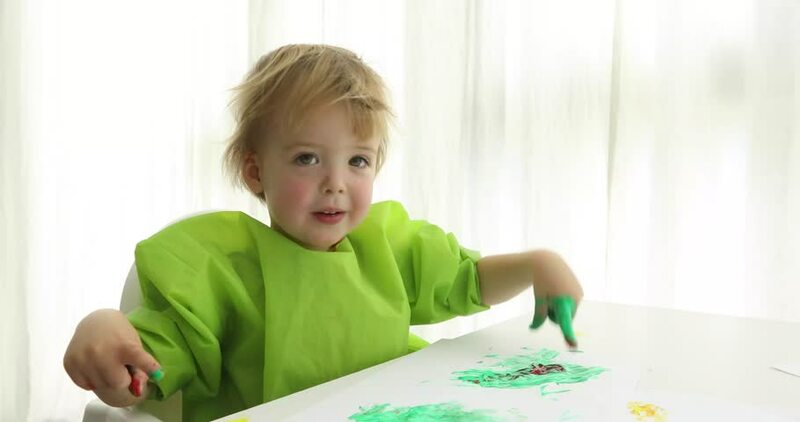 Baby painting with funny emotions, she is smiling.